Sports Mole provides team news, predicted lineups and a full preview of the first leg of the Europa League last-eight clash between Arsenal and Napoli. 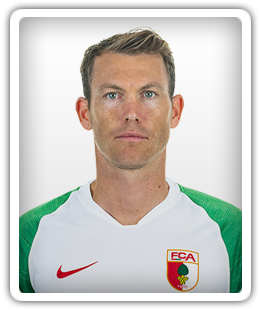 Stephan Lichtsteiner says that he will consider leaving Arsenal in the summer if he does not receive regular first-team football. Arsenal boss Unai Emery will reportedly look to sign three new players in this summer's transfer window. Sports Mole looks at how Arsenal could line up for their Premier League clash with Cardiff City at the Emirates Stadium. Ahead of Arsenal's FA Cup fourth-round tie against Manchester United, Sports Mole looks at how the Gunners may line up. Sports Mole provides team news, predicted lineups and a full preview of the FA Cup fourth-round tie between Arsenal and Manchester United. Joe Willock scores twice as Arsenal beat League One Blackpool 3-0 at Bloomfield Road to earn a place in the fourth round of the FA Cup. Roberto Firmino scores a hat-trick as Liverpool thrash Arsenal 5-1 at Anfield to storm nine points clear at the top of the Premier League table. Sports Mole looks at how Arsenal could line up for their Premier League clash with Brighton & Hove Albion at the Amex Stadium on Boxing Day. Pierre-Emerick Aubameyang scores twice as Arsenal run out 3-1 winners over Burnley to move level on points with fourth-placed Chelsea in the Premier League. Sports Mole previews Saturday's early Premier League kickoff between Arsenal and Burnley, including predictions, team news and head-to-head records. Sports Mole looks at how an injury-hit Arsenal side could line up for Saturday's Premier League clash with Burnley, as they aim to bounce back from successive defeats. Ahead of Wednesday's EFL Cup quarter-final between Arsenal and Tottenham Hotspur, Sports Mole selects a strongest combined XI between the North London rivals. Sports Mole looks at how Arsenal could line up for their EFL Cup quarter-final with North London rivals Tottenham Hotspur at the Emirates Stadium. Southampton register a thrilling 3-2 victory over Arsenal in Sunday's Premier League clash at St Mary's to end the Gunners' 22-match unbeaten streak. Arsenal boss Unai Emery is open to bringing a new central defender to the Emirates Stadium during the January transfer window. Ahead of Sunday's Premier League clash between Southampton and Arsenal, Sports Mole looks at how Unai Emery's side could line up at St Mary's. Sports Mole provides team news, predicted lineups and a full preview of Sunday's Premier League clash between Southampton and Arsenal. Arsenal secure top spot in Group E of the Europa League courtesy of a comfortable 3-0 win over Vorskla Poltava in Kiev. Sports Mole previews Thursday's Europa League Group E clash between Vorskla Poltava and Arsenal, including predicted XIs, teams news and head-to-head records. Sports Mole looks at how Arsenal could line up for their Europa League Group E clash with Vorskla Poltava on Thursday afternoon. Ahead of Sunday's Premier League clash between Bournemouth and Arsenal, Sports Mole looks at how Unai Emery's side could line up at the Vitality Stadium. Sports Mole provides team news, predicted lineups and a full preview of Sunday's Premier League clash between Bournemouth and Arsenal. Sports Mole provides team news, predicted lineups and a full preview of Sunday's Premier League clash between Arsenal and Wolverhampton Wanderers. Relive Sports Mole's live text coverage of Arsenal's 0-0 draw with Sporting Lisbon, as the Gunners made it through despite being kept out on home soil. Sports Mole previews Saturday's top-four showdown between Arsenal and Liverpool at the Emirates Stadium, including team news, predicted XIs and head-to-head record. Sports Mole looks at how Arsenal could line up for Saturday's visit of Liverpool as the Gunners contend with a defensive injury crisis.